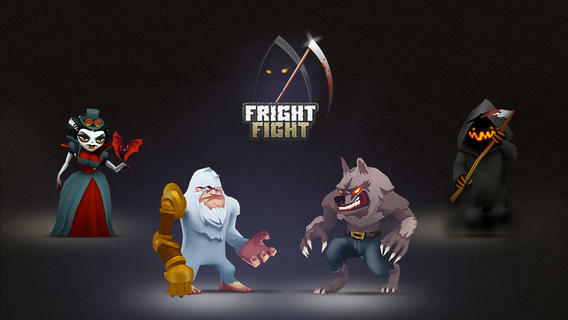 Fright Fight is an iPhone game developed by APPSolute Games LLC. This multiplayer brawler has great graphics and addictive gameplay! 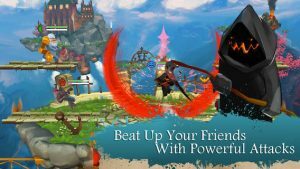 If you love fighting games or brawlers like Super Smash Bros., then Fright Fight is gonna hit you right in your sweet spot. The tutorial you get the first time you start up the game is short and sweet. You can get right to the action, but you still get a rundown of the basics. There are four characters you can choose from at the beginning of the game, with more characters available later on. You can choose from a werewolf, an ape with a steampunk arm, a witchy-looking vampire lady, and a hooded death figure called Grim. There are a few issues here and there. I found some of the in-game menus to be rather small, and I think the menu screens and text size could be bumped up to make better use of the iPhone’s screen size. It’s also kind of a bummer that only online play is supported at this time. Local play mode is coming soon, however. 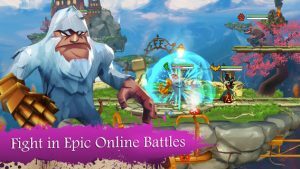 Online play was enjoyable in that I didn’t have to wait long for a game, but frustrating because games could get cancelled by the other player before the game even got started. I never had to wait more than 30 seconds to start a game, however. The graphics here are pretty nice, though the fighters are rendered a bit on the small side. This is a necessity for a mobile brawler, however…otherwise, it would be impossible to get four players on the same screen. I do wish there was slightly more variety in terms of level layouts. The existing levels are all pretty similar, and some more strategic hiding spots and traps would have been nice. And maybe some moving platforms right off the bat? 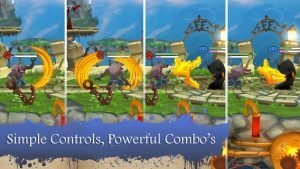 Overall, for the gamer who wants a portable version of the kind of fun Super Smash Bros. offers, Fright Fight is a really solid option. It has a few flaws, but this new game is poised to become really great in the coming months. 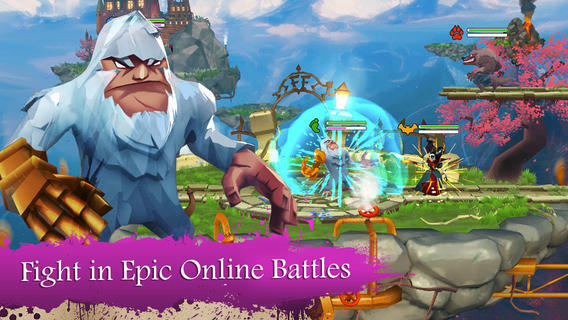 Want to see the game in action? Check out this sweet video on YouTube! Fright Fightrequires iOS 4.3 or later. Compatible with iPhone, iPad, and iPod touch. This app is optimized for iPhone 5.